Is there a general order that teachers use for giving Montessori lessons? Is there a general order that teachers use for giving lessons? 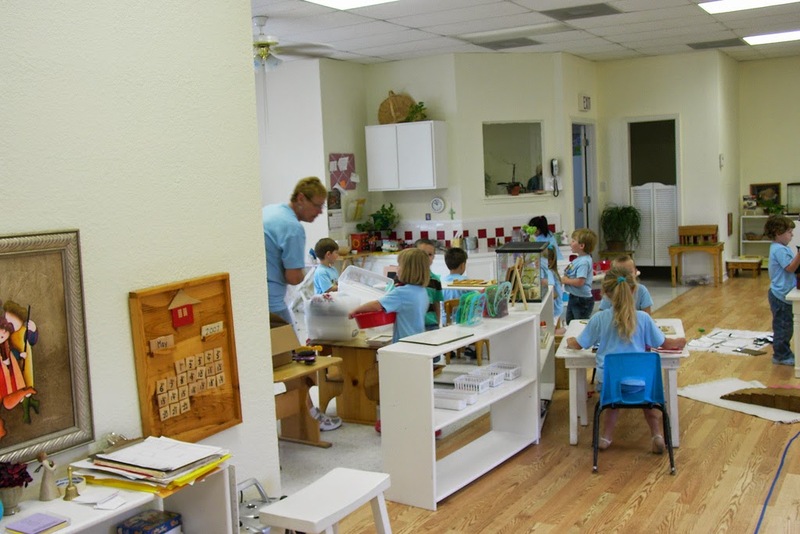 Montessori method follows the child and observes what is next for that child. Therefore, I have read in many places that there is no set curriculum to follow. But there are albums that Montessori teachers create. There may be no set time to teach something, but what I am thinking and wondering is, is there a general order or pattern which a teacher might use. I have noticed in the math materials that the pink tower comes before the brown stair and the red rods. I am thinking that I could have the "next" lessons or activities prepared, and tucked away, and taken out when the child is ready for it. But how do I know what lessons and activities to tuck away?--Laura S.
Here is what other Montessorians had to say! In a Montessori preschool classroom many of the materials are out and children can choose what they've had a lesson on... advanced materials are brought out throughout the year (for the five and six year olds) when they are ready for them. When is a child ready? If they have mastered other activities, first, or when they show an interest and you suspect they are ready for a lesson. But what if your child shows little interest in, let's say, the pink tower, but really wants to use the brown stairs. You can still give a lesson on the brown stairs. And if the child is really young, maybe use only five or six brown stairs. The red rods are a lot harder than the pink tower and brown stairs, so maybe only have three our four small ones out if you are not sure if the child is ready, then gradually add them in. If you have older children who can do the red rods, then only show the younger child how to take one out and carry it across the room, then put it back. They take another one, out, carry it, put it back, etc. You have wiggle room, some times it is common sense! Other times it is based on your observations. And sometimes you just don't know until you try (whatever it is) out. That is, you learn as you go! Want Montessori activity blog posts? Go here and here! Want affordable online Montessori and homeschool programs? Go here!